This is the first time I’ve seen more than one or two wading birds in these two trees that are at the edge of a tidal marsh. 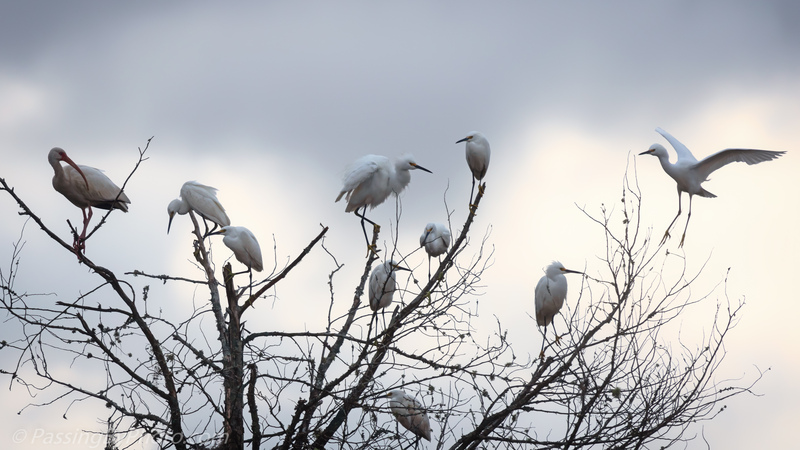 Snowy Egrets were coming and going in the first tree, with one lone White Ibis on the left. The sky wasn’t a great backdrop on this morning but I couldn’t pass up photographing this activity. 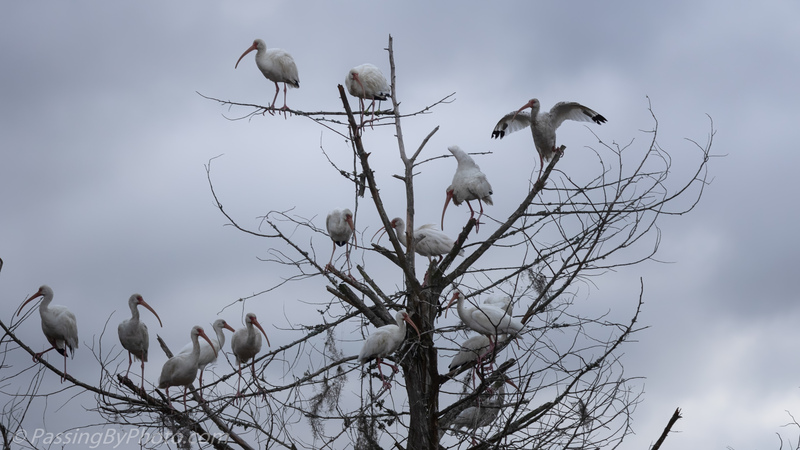 White Ibis dominated the second tree and while I’m not that happy to have fall arrive, the leafless trees did allow a good look at the birds.